An unusual item. 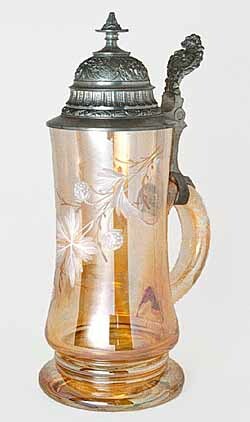 In marigold, this stein has a spray of flowers on the drinking side of the glass. The metal is pewter. It sold at a 1998 auction for $140. 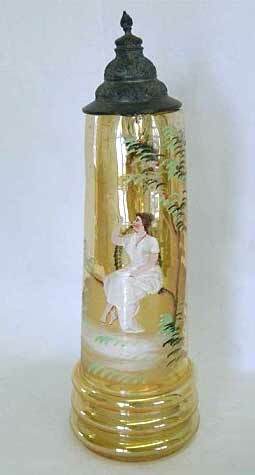 This marigold 16-inch stein with an image of a lady blowing bubbles sold in 2013 for $475. Photo courtesy of Seeck Auctions.